Dean Keates will study for the final two years of his sports coaching degree at Glyndŵr University after being released by Wrexham. The former Dragons captain and midfielder will also coach the Glyndŵr Wrexham Football Academy. "There has been interest from several clubs but I'm 37 soon and this is the natural next step for me," Keates said. "I could still play part-time as well as coaching and studying, so I'm not hanging up my boots just yet." 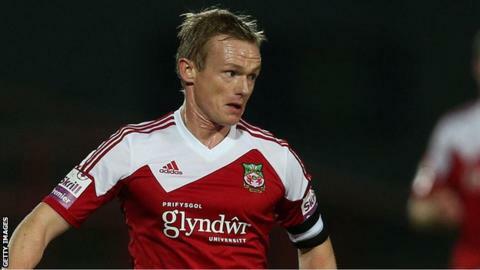 Keates is one of several players released by Wrexham manager Gary Mills following the end of the season. "This will be a progression in my career and gives me the opportunity to coach players coming through the ranks," Keates added. "It's an exciting opportunity and I look forward to getting started." Keates will officially take up his new post from 1 July.